I’m pretty sure that you already noticed the growth of the marble usage. 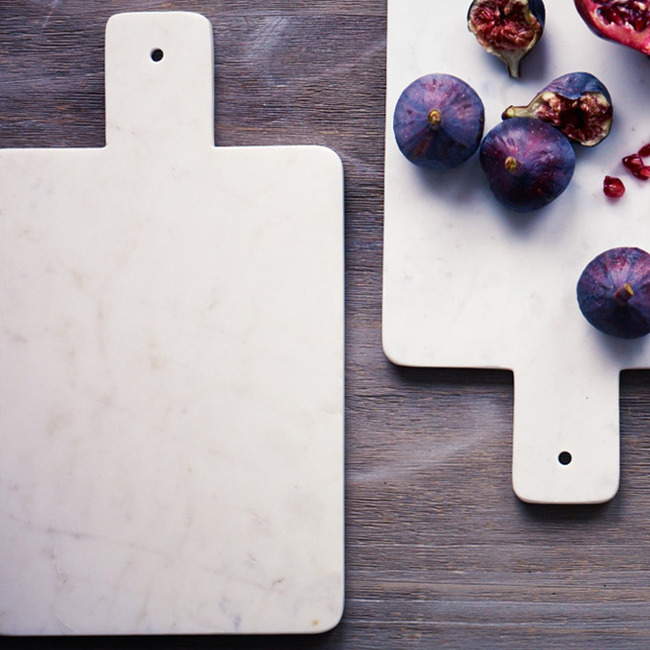 it is so popular now that everyone want marble in their home. 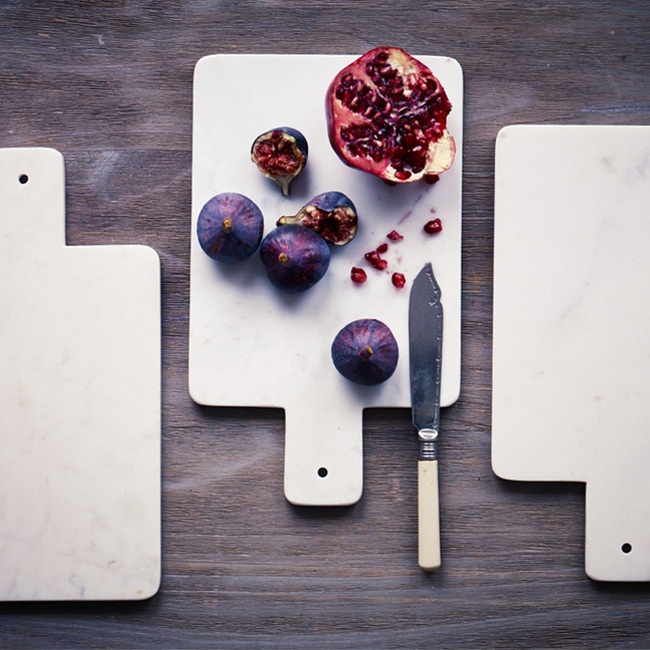 One of the beautiful usages of this material is as a cutting board. I made a little research and discovered that this idea is already realized and could be found in some stores like for example “Rowen & Wren”, “HK living“ in this lovely Etsy shop and here. very elegant – i love the figs and the pomegranates!